It is only natural for ducks to plunge into a body water for a quick swim while flying to their breeding grounds. This shouldn’t be a big deal. After all, who wouldn’t want cute ducks swimming in their backyard? But this can quickly escalate from cute to annoying after seeing how the ducks shamelessly soil your swimming pool with their droppings, as they do in natural water bodies. As if that’s not bad enough, after swimming the ducks will shift their focus and raid your kitchen garden of its tomatoes and other vegetables you’ve planted. Moreover, mother ducks are extremely protective of their ducklings and will fight anyone who is considered a threat to them – in most cases, your kids. 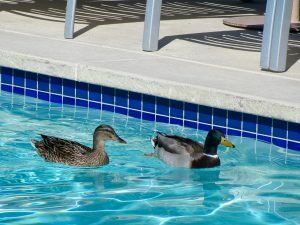 So, how should you then get rid of the ducks from your pool? Duck are afraid of any carnivorous animal. Dogs originally preyed on wild ducks and that trait might still linger in your dog. A simple bark should have the ducks scampering away. But this won’t be possible once your dog gets bored of all the chasing (they can be such a letdown sometimes). You also can’t have the dog near the pool all the time. And don’t forget that the ducks will eventually be accustomed to your dog’s presence and won’t give a hoot about its incessant barking. You should, therefore, have your dog trained so that it always sees the ducks as a potential threat and immediately spring to action. Another popular way of preventing ducks from your swimming pools is placing shiny objects on it. Ducks are not tolerant to bright light. These shiny objects can be every-day objects such as discarded CDs and aluminum foils. You can also use holiday decorations such as reflective streamers to scare away the ducks. 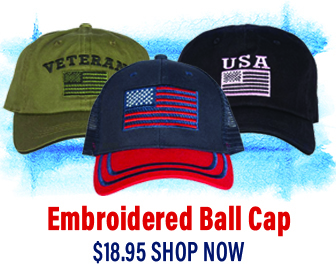 This is a cost-effective way that will go a long way in ensuring your swimming is crystal clear all day long. 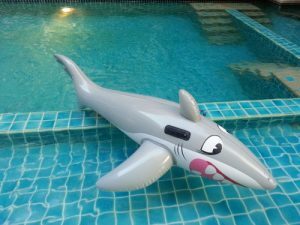 If you don’t like shiny objects on your pool, you can consider using floaters that resemble alligators, sharks, and other predators to act as bird repellents. This is the same technic used in corn fields where scarecrows are installed to scare birds away. The toys don’t necessarily have to be in animal form. You can inflate large balloons and paint large eyes on them. This is a fun and effective way of keeping ducks away. This is almost similar to the previous method. A natural predator of ducks is the owl. Ducks will immediately flee at the sight of one. But since it’s impossible to obtain a wild owl for your swimming pool, you can use the next best alternative – plastic decoy owls. For best results, invest in a decoy that hoots and makes simple physical movements like head turns. Regularly check up on your fake owl to ensure that it is working properly. If your state allows hunting guns and killing of wild birds, and your home is located in a sparsely dense neighborhood – well and good. But you should consider the risk of shooting someone in your neighborhood and the fact that killing birds in your pool will create a big, bloody mess. It’s advisable to use a BB gun or a pellet gun for safety. This method can also be a good hunting practice. If you’ve really had it with those annoying ducks, you can decide to purchase a gadget with the latest technology that emits ultra-sounds that frightens the ducks away. You heard that right. Such a gadget does indeed exist. It can also be used in farms to keep mice, rats, and other rodents away. Nonetheless, the device may come with a hefty price tag. Even though there are a number of duck repellants to choose from, each one of them has its own disadvantages. Depending on your preferences, you should choose the best method that works for you. For instance, some homeowners may not like “scarecrows” on their pools while others won’t mind it. Others won’t have enough cash to buy the ultra-sonic duck repellants either. You can also seek advice from your local wildlife agency and get insights on the best ways of getting rid of wild birds.